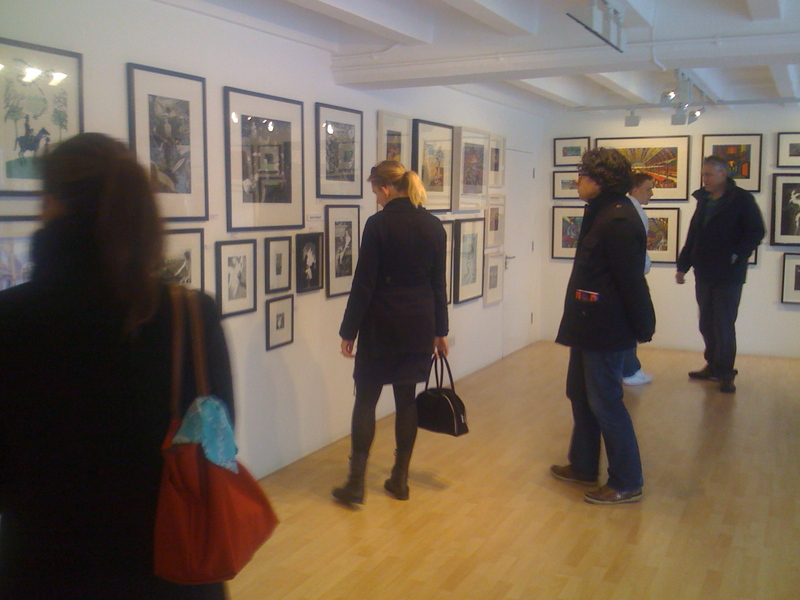 After three busy weeks, it is the final weekend for the London Printmakers exhibition at the Oxo gallery. 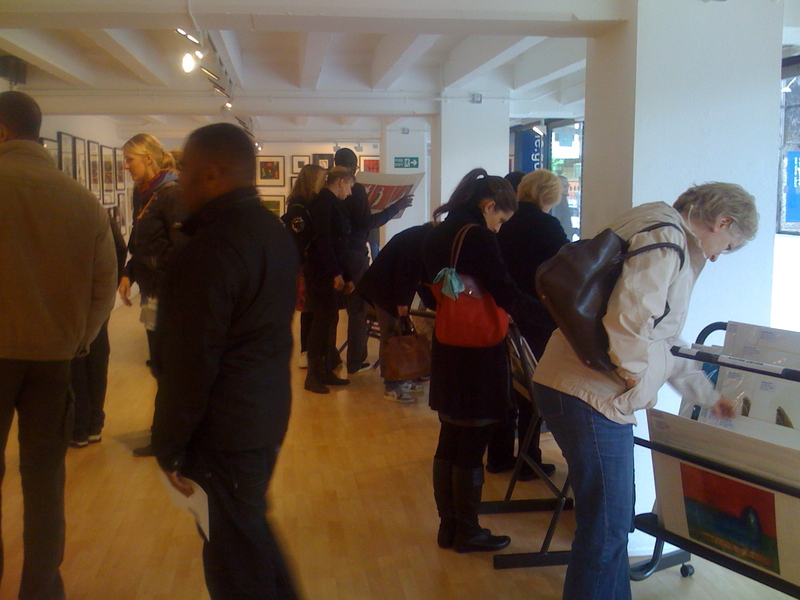 Here are a few photos of last Sunday, when I was invigilating the show with my colleague, Karen Keogh. It was very busy all day. 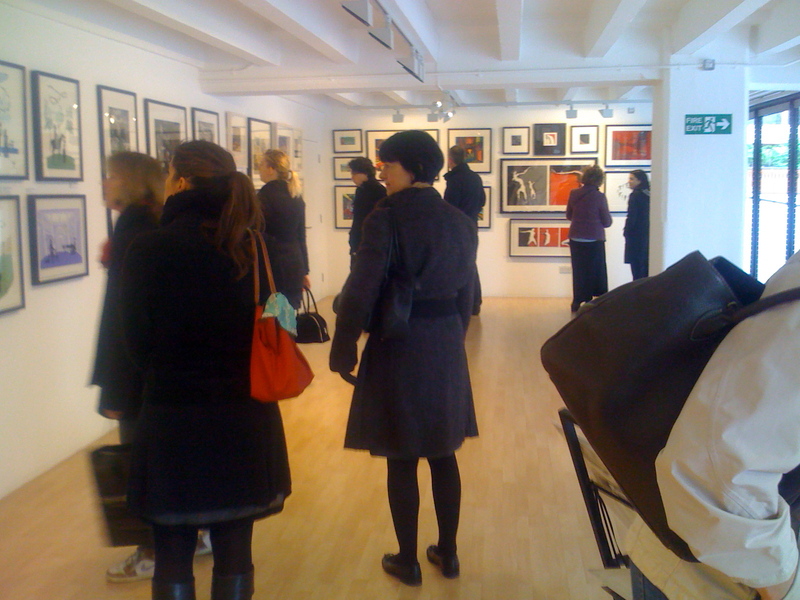 As the gallery is right on the South Bank, between the London Eye and Tate Modern, it consequently has a tremendous footfall. Lots of people pass by and just seem to drop in (and hopefully then buy something). Anyway, if anyone is in the neighbourhood, please come and say hello…. This entry was posted in London Printmakers, New Exhibition by Gail Brodholt. Bookmark the permalink.